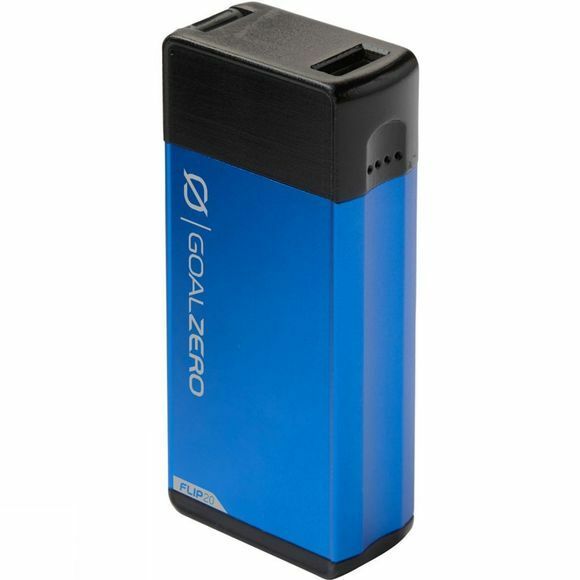 The Flip 20 Recharger from Goal Zero is the perfect travel companion for anyone looking to keep their phone, fitness tracker or other small devices charge wherever they are. With its high-quality battery, you have the ability to give your phone 2 full charges. It comes Solar Ready so you can charge it from a compatible solar panel or, if you'd prefer, you can use the included flip USB from any USB port.